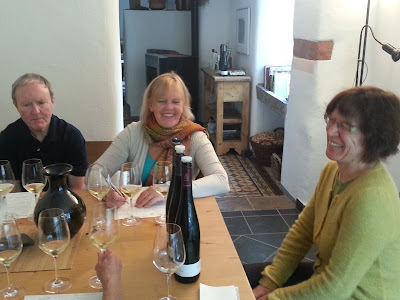 We will visit a total of 19 wineries (15 are members of the VDP, the German association of elite wine makers) in 6 different wine regions where predominantly white grapes are planted: Saale-Unstrut, which is the most northern German wine region and former GDR territory; Franken and its signature grape Silvaner; Rheingau with its perfect, elegant, racy Rieslings; Northern Rheinhessen where a variety of white grapes and also Pinot Noir grow; Mosel with its dizzying steep vineyards and famous Rieslings; Nahe and its serene, peaceful valley where perfect harmonious wines reflect their roots. We will get intimate insights into a selection of Germany’s best of the best wineries, normally not open to visitors. We will learn how to read the label on German wine bottles. We will get to know the classification of German wines including the new VDP classification. We will explore why wine from the same vineyard can be sweet or dry. We will have excellent, typical German meals at great restaurant, historical places, or at the wineries with the owner/winemaker. We will hear eye witness accounts of recent German history: from the GDR to reunified Germany. We will bump into ancient German history and culture at every turn of our trip. Germany with its roughly 250,000 acres under vine belongs today to one of the smaller wine producing countries in the world. However, viticulture in Germany has a long tradition, going back to Roman times 2,000 years ago. In the 15th century, the area under vine was four times larger than it is today. Wars, subsequent loss of territory, diseases, overproduction, and competition from beer brewing resulted in land turned over to other agricultural uses. In the 19th century, concentration on terroir and technological progress fostered a tremendous improvement of quality and the prestige of German wines, in particular from the Mosel, Rheingau, and Pfalz regions, resulted in prices above those for first growth Bordeaux wines. 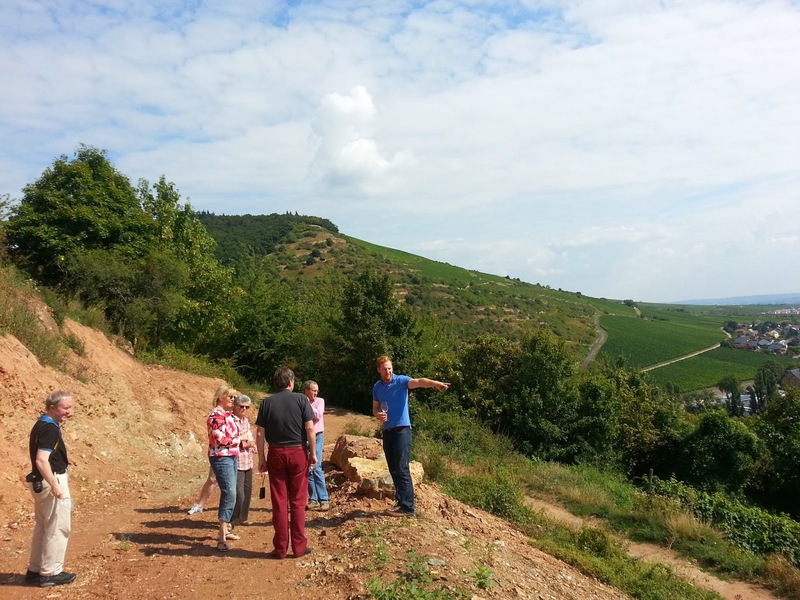 Today, all thirteen wine regions in Germany produce outstanding wines. 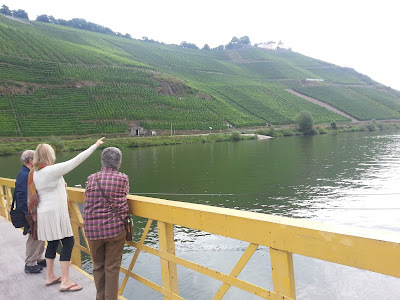 The tour follows the 2013 German Wine and Culture Tour by ombiasy, with the Franken region added, the Mosel Valley portion extended and the Pfalz region deleted (and included in the Sun-kissed German South Tour) and includes the following wineries: Pawis, Gussek, Kloster Pforta, Juliusspital, Bickel-Stumpf, Robert Weil, Kloster Eberbach, Jakob Jung, Thoerle, Kuehling-Gillot, Kuenstler, Peter Jakob Kuehn, Clemens Busch, Dr. Loosen, Maximin Gruenhaus (Von Schubert), Reichsgraf von Kesselstadt, Doennhoff, Kruger-Rumpf, Diel, Schaetzel. 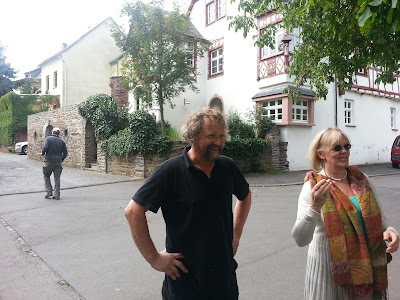 Many of the 2013 German Wine and Culture Tour highlights were covered by postings on schiller-wine.